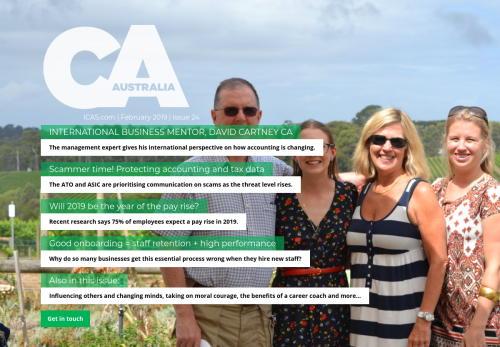 The management expert gives his international perspective on how accounting is changing. The ATO and ASIC are prioritising communication on scams as the threat level rises. Will 2019 be the year of the pay rise? Recent research says 75% of employees expect a pay rise in 2019. Why do so many businesses get this essential process wrong when they hire new staff?